LUCKYS® NATURAL BRICKS - Play healthily. 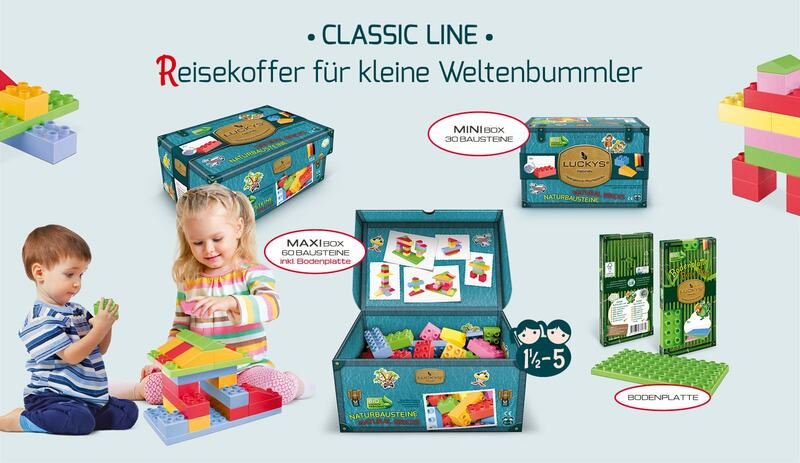 LUCKYS® NATURAL BRICKS, a novelty introduced at the Spielwarenmesse 2016 in Nuremberg, follow a new and sustainable way in the segment of bricks for 1 ½ to 5 year old children. ARBOBLEND®, the biodegradable material for LUCKYS® made of renewable resources, decomposes under compost conditions and is honoured as Green Brand (www.­green­-­brands.org). So with LUCKYS® you make an important contribution for the environment as well as for the child‘s health. LUCKYS® NATURAL BRICKS just as the whole supply chain – are “Made in Germany”. The colors used are 100% non-toxic pursuant to the REACH regulation (EG) and the FDA in the USA. So it is totally safe for children to put the bricks in their mouth. Why are LUCKYS® NATURAL BRICKS good for children? The packaging for LUCKYS® is 100% recycable as waste paper. For an enhanced sustainability you can also use the packaging as a storage box. 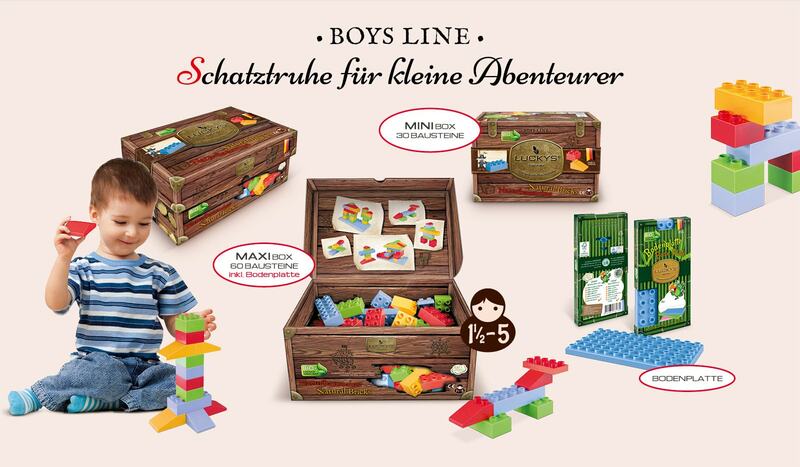 LUCKYS® NATURAL BRICKS are available as BOYS LINE, GIRLS LINE and CLASSIC LINE – each with a suitably designed packaging as a treasure chest, a jewelry box or a globetrotter suitcase. 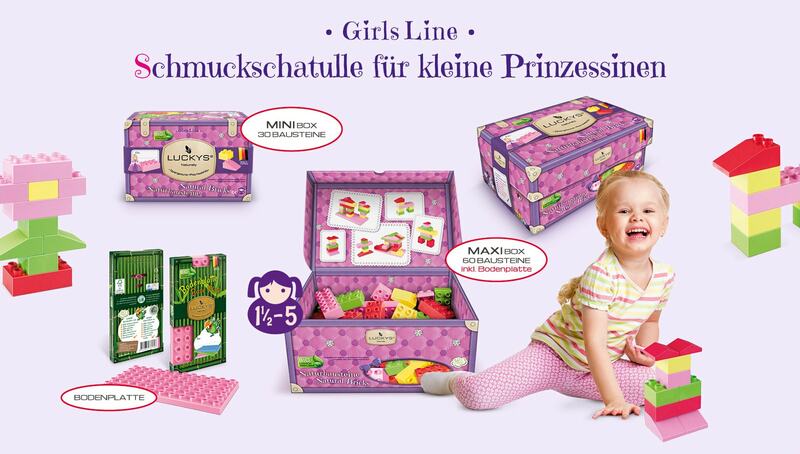 All product linesBoys LineGirls LineClassic Line All productsMAXI-BoxMINI-BoxBase plate Mr. Mrs.